For the last twelve thousand years, people have been living in and around Death Valley. There have been four anthropologically distinct eras– the Death Valley I, II, III, and IV peoples have left behind evidence of their inhabitance. 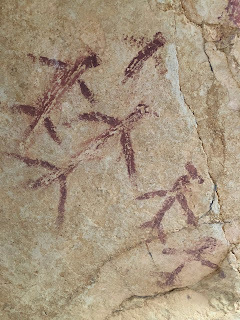 Throughout the region, pottery, stone points, beads, burial sites, trails, and rock art dot the landscape, and with enough searching, you can find the most precious and delicate remains of all. The west side of Death Valley is ripe with opportunity. Only a half dozen roads penetrate this immense wild-land, and this difficulty of access makes for unspoiled silence, pristine areas, and opportunities for discovering new things where little documentation exists. The area is laced with ancient game and native trails, and while in some areas they are clear and easy to follow, other times they seem to dead-end or cliff out on a side slope. Panorama from atop the alluvial fan above Johnson Canyon's wash. It was this crisp winter day, one of the shortest of the year, that we set out in search of that which few have seen. Very little has been written about this part of the park just north of Johnson Canyon, where a large blob of rhyolite tuff has emerged in the alluvial fans and created a wonderland of rock seemingly straight out of the labyrinth of myth. This is a copper mine that had been worked by one miner, Homer Struck, for over thirty years between 1969 and 1999. Before then, its history is not really known well, and what remains of its camp is sparse and largely uninteresting. 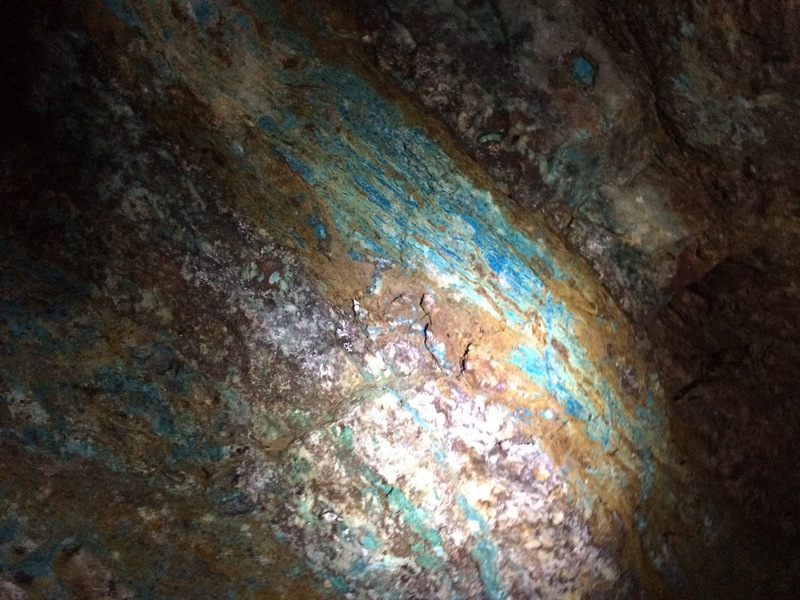 On the other hand, the road gradually changes in color as the main mine is approached; it gradually becomes bluer and bluer as the tailings spill down the gulch. For centuries, explorers searched for the city of gold; this is the road of copper. This mine followed a vein of quartz about six feet wide and about 100 feet long, extracting most of this vein to leave behind a tall, narrow slot braced by timber. Some of the logs are native piñon timber, others are newer lumber, clean cut. The vein itself is a mineralogical treasure trove, graced with paint-strokes of chrysocolla, malachite, limonite, quartz, jasper, and hematite, and many more I can't identify! These minerals were all deposited by rising superheated water that rose along a fault or crack in the rock and left behind these streaks and pockets of brilliant color. High up in the Sierras above Walker Valley, outside Bridgeport, is a dilapidated old stamp mill. 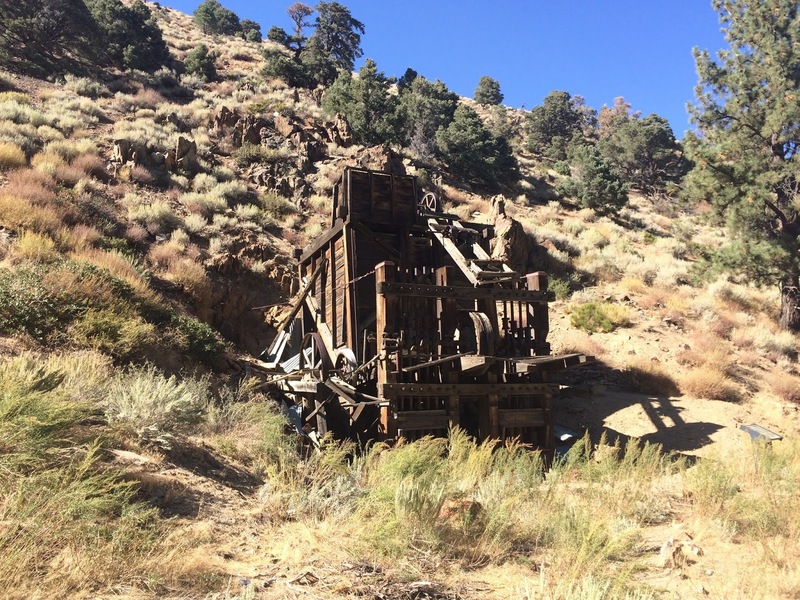 It is the last stamp mill managed by the Bishop BLM office, and is a remarkable site because of its scale. Only ten stamps were ever used here, and ten remain, but they are the largest stamps I have ever seen, and the beams that are used to build the mill are colossal old growth wood, 11x22 inches. Each stamp (it's said) weighs 900 pounds, and is at least ten inches in diameter. The mill was destroyed by avalanches numerous times over the last hundred years, and this structure was built around 1900. It has suffered significant structural damage, and stabilization work took place over three months in 2005 in hopes of keeping it standing through more heavy Sierra winters. Not much else remains besides the mill, cookhouse, and bunkhouse. The arial tramway's remains lay close by, but the mine openings are nearly inaccessible without great tenacity, as they sit 2300 feet above on the mountainside. There were three tunnels, totaling a couple thousand feet of workings. The outbuildings were destroyed in the fatal avalanches in 1911, and everything was rebuilt a few hundred feet away below a lesser slope. Lava Beds National Monument is in the far northeast corner of California, just miles away from the border with Oregon. Boundless plains of grasslands, basalt boulder fields, volcanoes, and the densest concentration of lava tubes in North America (over 700 caves) make this a special place. Beyond the mystic beauty that surrounds this place is a bloody and ancient history. The Modoc Wars that finally displaced the ancient Modoc tribes placed an eventual total of 930 US soldiers against 53 Modoc warriors led by Captian Jack, Kintpuash. Eventually 73 lives were lost, including General Canby and Captain Jack and his four accomplices were captured and hanged at Fort Klamath. Remaining Modoc were moved as prisoners of war to land in what is now Oklahoma. 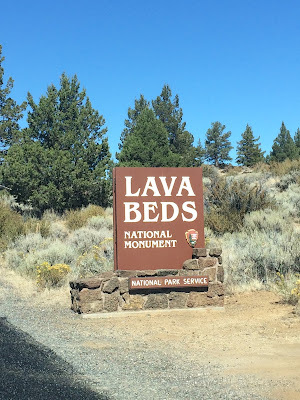 More about the Modoc War can be read about here, Wikipedia, and at the park website for Lava Beds NM. On a lighter note, the geology of the area is rather interesting. The park is on the fringes of the basin and range province, part of the Great Basin Desert, and at the southern end of the active Cascade Arc. It lies on the slope of the Medicine Lake Volcano, the largest (by volume) of the cascade volcanoes. Mt. Shasta is the most voluminous of the big cones, but lavas from Medicine Lake are estimated to fill at least 140 cubic miles. 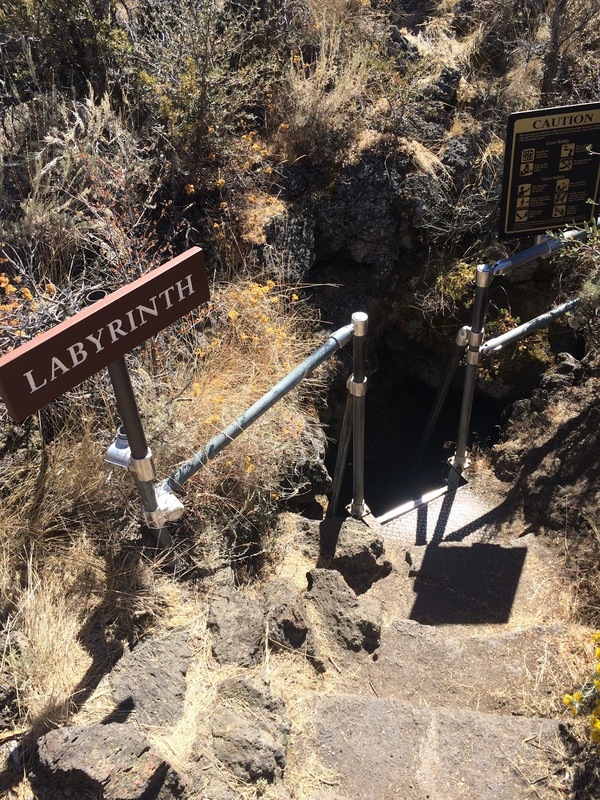 It is a large basaltic shield volcano with numerous cinder cones and basalt floes along its slopes, perfect conditions for lava tubes. Beneath the recent Cascade volcanism is the southern extent of some of the Columbia River Basalt Flows, namely Steens Mountain Basalt and Painted Mountain Basalt flows. few hundred years and now contains much bird refuge and agricultural land. 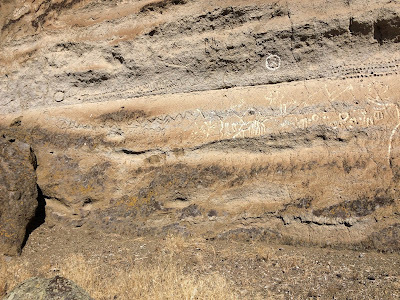 It once contained a handful of islands and peninsulas, former tuff rings and small volcanic vents, and one island in particular became a hotbed for Modoc spiritual activity. They would paddle out to this island in their cedar dugout canoes and carve on the soft rock their symbols and musings. As the lake level dropped, more lake standlines were cut into the island, and more petroglyphs were carved. 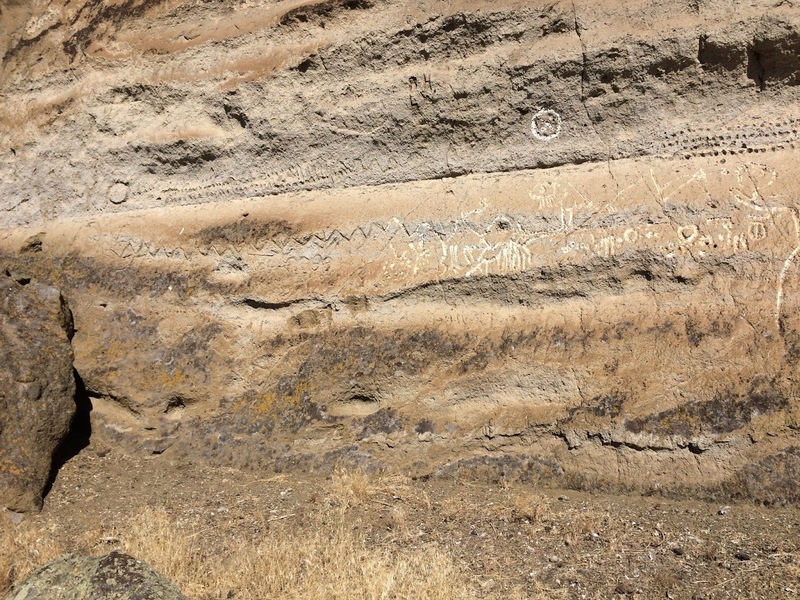 The former island called Petroglyph Point was handed over to the NPS some time ago, and now, in an effort to curb the vandalism that so often plagues rock art sites, a large chainlink and barbed wire fence has been erected around the site. As you view these pictures, imagine that the rock is surrounded by meter deep water and swaying reeds, with windswept plains mantling the far distance and waterfowl crowding the sky. Imagine the carvings are fresh, crisp, and exactly as they were so many centuries ago. Looking out to the Bullfrog Hills, camp at left, from the cave. 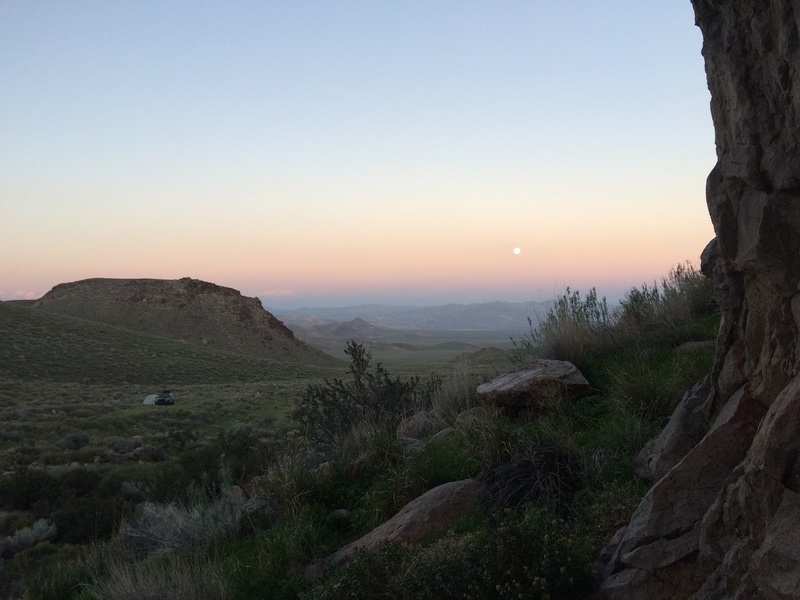 The eastern part of Death Valley National Park is an empty triangle jutting into the state of Nevada, and it is lovely for many reasons, but perhaps most of all for its isolation. Most of the roads in this Nevada Triangle are seldom travelled more than a few times a year, and wherever you go, your tire tracks are likely to be among the first in quite some time, even on busy weekends. If you camp out here, the closest people are likely to be in the ghost town of Rhyolite, which has several full time residents. This spring is a bygone remnant of centuries of occupation by natives and prospectors, but most recently as hosting the workers of the Happy Hooligan Mine nearby. I didn't do any exploration of this mine on this trip, it was just too windy to persuade us to do an in-depth exploration, but that just leaves a reason to return. This corner of the park is so rarely visited that during this week of prolific flower blooms and incredible greenery throughout the region the road was in places completely overgrown with fresh sprouts, and at times we had to get out and find the road alignment out of the greenery. We set up camp after momentarily getting lost in the maze of roads below and found a naturally windproof cave in the cliff nearby and saw it as an opportunity to get out of said extreme winds for a while. We brought the stove and our chairs and enjoyed the solace and solitude of a peaceful evening surrounded by the fire-blackened cave walls used by centuries of people before us. I'm a geology student at Portland State University. I've been researching, reading, and visiting the desert and my surroundings for most of my life, and it's time I shared them with you. I specialize in Death Valley, but there's no limit to what I will write about! I do my best to research thoroughly, and if you catch an error, please let me know so I can be as accurate as possible. Thanks for reading! Andrew Dunning. Simple theme. Powered by Blogger.